A Douglas College History grad is shining a light on the past with a project honouring a fallen soldier in commemoration of Remembrance Day. 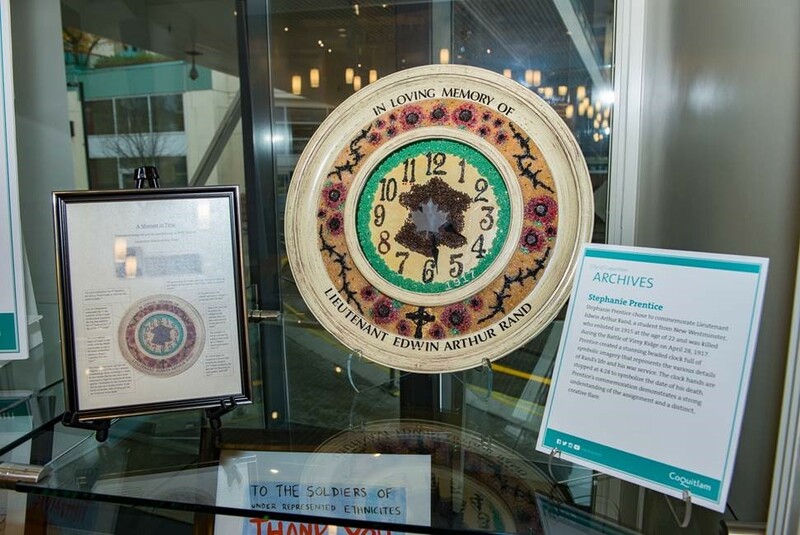 Stephanie Prentice’s project – an intricate clock with details reflecting the life of Lt. Edwin Arthur Rand – will be on display at the Coquitlam Public Library until the end of the month. Prentice created “A Moment in Time” last winter for an assignment from History professor Ashleigh Androsoff. The university transfer student, who just kicked off her first semester at UBC Okanagan, used archival research to share the story of Rand – a student from New Westminster killed in the Battle of Vimy Ridge. The hands of Prentice’s clock stand at 4:28, marking the date Rand died in 1917, during the First World War. A ring of poppies line the outside of the clock and in the middle lies an outline of France – where Rand was killed. The fallen soldier was among 60,000 Canadians killed in the First World War. “It was important to me that I do the best that I could to pay homage to Lt. Rand and his family for the great suffering they endured during their time here on Earth, and to commemorate his service and death in the First World War,” Prentice said. 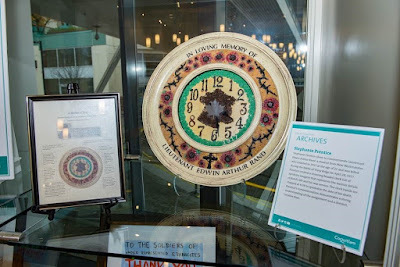 Androsoff began assigning the project to her class in 2014, inspired by Coquitlam city archivist Emily Lonie, who is active with the Lest We Forget Project. The project, led by Library and Archives Canada, aims to connect youth to Canada’s history by making military service files for veterans and nurses available in person and online. “When students first hear about the assignment, they tend to look at Emily and me quizzically. Once they get going with their projects, however, they begin to get very excited about what they are creating and submit their projects with a great deal of pride,” said Androsoff. Prentice’s piece, along with three other projects by Douglas College students, will be on display at the Coquitlam Library’s City Centre Branch until the end of November.